Vizify: The Future of Recruiting? 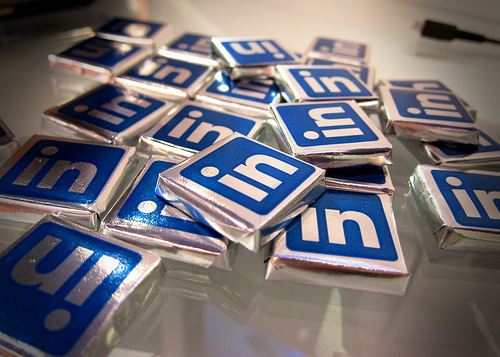 LinkedIn has changed the game when it comes to recruiting, networking, and job hunting. But the marriage of technology and recruiting doesn’t end there. With the popularity of infographics, it makes sense that someone would try to visualize the resume. Vizify is a living, interactive resume with a personality. It makes your LinkedIn profile look like as boring as a paper resume. If you’ve been jealous of creative types who put together head-turning self-promotion ideas like this video-game inspired resume, be jealous no more. Vizify does the hard work for you. With just the click of a button, Vizify turns your experiences into a personal website filled with visually-appealing graphics. Just sign in with LinkedIn, Twitter, or another social network and your information automatically populates within their template. You can edit it from there. Graphs include everything from photos to “Words: Things I say a lot on Twitter” to “Career: My professional story,” a bar graph-like timeline of the various positions you’ve held. Users can add or customize pages like “Connections,” “Activities,” and “Factoids.” The “cards” feature is a collection of miniature infographics surrounding your obsessions, coffee habits, advice, and the like. What do you think about this more personalize approach to the resume? Read more about how Vizify can be used in the recruiting process. 1. You need a completed profile. LinkedIn’s search engine gives preference to completed profiles and yours won’t rank as high in a search if it’s partially filled. Part of a completed profile includes a professional head shot. In fact, there’s a much higher chance that a recruiter will click a profile with a photo than without one. 2. You need to write in the first person. Don’t write the information in your profile in the third person. Don’t be afraid to use the word “I” and show a bit of your personality. While there is a difference between a LinkedIn profile and a resume, remember that it’s still important to be concise on a LinkedIn profile. 3. You need key words. Your professional headline and summary are great places to pack your profile with words that recruiters will find. Remember that your LinkedIn profile is a living document so keep it updated and relevant as your career grows. Read more information on how to improve your LinkedIn profile today. CAREERS 02 WORK vimeo sdws from Spectrum Brands, Inc on Vimeo. Our series of videos on our careers site outlines why our employees love working for the wide array of recognizable brands that make up our company. One reason that always comes up is the opportunity for growth and career development. Here are just a few quotes from some Spectrum Brands superstars. Can You Tweet Your Way to a Job? Maybe! We’re on LinkedIn. And Twitter. And Facebook. And we’re not the only company who is. Now more than ever job seekers have so many ways to get in touch with the companies they want to work for — and the people who already work for those companies. But have you taken full advantage of it? When’s the last time you tweeted a potential employer or wrote a thoughtful comment on their blog post? Perhaps you should start if you want to get noticed. Business News Daily recently wrote about the social media side door and interviewed one man named Ian Greenleigh who wrote a whole book about it called, “The Social Media Side Door: How to Bypass the Gatekeepers to Greater Access and Influence.” Greenleigh himself found a job through social media. He took out a Facebook ad proclaiming his job search status and $200 later, he had himself a dream job. 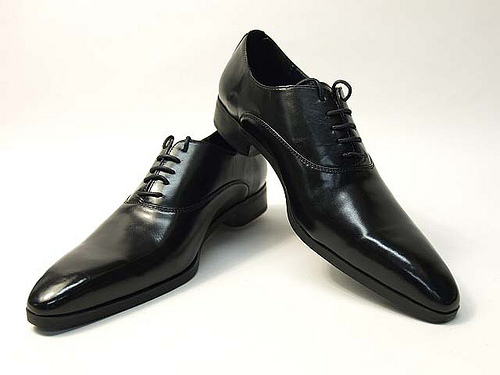 Of course, not every social media job search story is a Cinderella one. But it’s important to understand the power of social media. It’s not about how many followers you have or how many times you tweet. It’s about the connections you make. Greenleigh landed a job thanks to the connections he made via his Facebook ad. It’s a side door that landed him an interview and from there, his talents and experiences had to take him the rest of the way. Have you ever tried to use social media to help your job search? Tell us about it in the comments! Halloween is upon us. 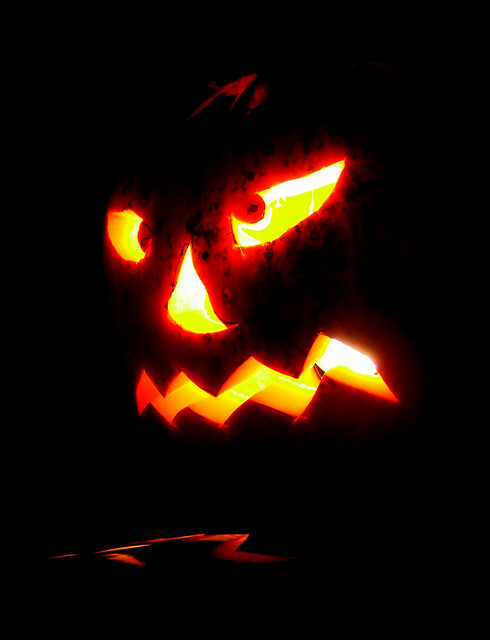 It’s a time for spooking and scaring, but hopefully not when it comes to your career search. Even if you’re about to enter a house of job horrors, never fear! We’re here to help you get through it. Pick your poison and see how we turn a scary situation into a successful one. 1. You Have a Blaring Resume Gap. Whether you have a recognizable lag between two positions or you’re having difficulty securing another job currently, don’t worry about it. There are solutions. In fact, we wrote an entire post on how to deal with a resume gap. 2. You Were Asked a Horrible Interview Question. You can never predict exactly what questions will be asked in an interview, but you can do a little recon. Search online for typical interview questions for your field and for that company. Ask people from your network who have interviewed there. And most importantly — over prepare. Give these interview questions that will make you cringe a glance then you’ll be prepared for anything. 3. You Landed a Dream Interview — But Now You’re Freaking Out. Step one: cheer up! There are certain things you just can’t think about during an interview — like how unqualified you really are for the gig or how you’ll be unemployed forever if you don’t land the position. Let’s face it. You’re psyching yourself out. Get some confidence. You can do this. 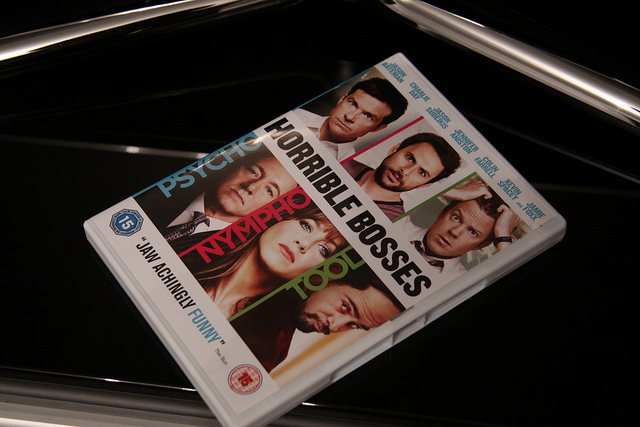 Is your work life a scene straight of Horrible Bosses? Well, hopefully it’s not that bad, but you aren’t the only person in the world who doesn’t love his or her boss. Part of being a professional is learning to work with those whom you don’t see eye-to-eye. And sometimes that person is your boss. Here’s how you can put yourself in the right frame of mind. It’s not you, it’s me. At least that’s the thought you might need to plant in your head when it comes to dealing with a difficult boss. There is a chance that you’re just oversensitive. Unfortunately, there’s also the chance that the your boss is a bad manager. Think about what you can improve upon and how you can better understand your boss’s work ethic and schedule. If your boss is a bad manager, does that make them a bad person? It shouldn’t. And that’s the sentiment you need to hold onto. 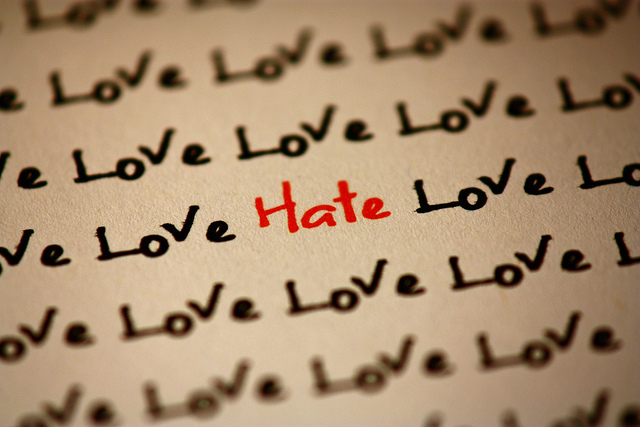 Remember this: just because you don’t like someone doesn’t mean you can’t respect them. And working relationships are built on respect. Search for those qualities that you do respect. Remind yourself that criticism isn’t a personal attack on you. In the corporate world, projects need to be completed and they need to be completed correctly and on time. If they don’t, your boss isn’t going to cut you slack, she’s going to give you flack. You must learn to listen to her critique, not get offended by her tone. Instead of getting angry, do an amazing job. The best revenge is being awesome. Why Do People Hate Their Jobs? Gallop’s recent State of the American Workplace report found that only 30 percent of employees consider themselves “engaged” or “inspired” at work. And a lack of engagement can often mean a lack of happiness. That means 70 percent of Americans might hate their jobs. One Forbes article suggests that those employees might be unhappy because they chose their career at age 22 — before they knew their passions, before they knew all of their job opportunities, and before they had the luxury of a savings. When you’re anxious to snag a paycheck and pay down your debts, taking the first job offer that’s on the table seems like a good idea. Gallop found that workers in highly-educated fields tend to be happier with their careers because their job was completely in line with the passions and their interests. Think of all that schooling it takes to become a doctor — you better be positive about your career choice before you dedicate all of that time! But what’s an unhappy worker to do? There are little ways you can make yourself happier at work each day. If you’re currently interviewing for a position, make sure the job has growth potential. Growth potential means happy employees. And if you can’t see a bright light at the end of the tunnel, maybe it’s time to quit your job and pursue your passions. What Does “Business Casual” Mean? No flip-flops or casual sandals. No above-the-knee skirts or dresses. But what about a tie? Or a blazer? Is this long skirt too casual? Well, some companies are more relaxed than others. You might be able to wear jeans on Friday. Or get away with a nice pair of sandals. But it’s always better to overdress than underdress. Check out this Lifehacker article with real-life interviews from employees across the country and what “business casual” means at their workplaces.